We are quickly entering into the holiday season. That’s a lie. We’re already deep into it. The parking lots at the local shopping mall are unbearable. The streets are filled with people trying to get everything in order before we all take a well-deserved break next week to spend time with our loved ones (and the ones we have to fake it with). With that joy and happiness often comes some excess (too much food, too much drink) and some lapses (not enough good judgement, not enough time to go to the gym). As the week unfolds, we look towards the New Year and all of the things that we’re hoping to accomplish to make the next year better than the last one. Let’s not talk about resolutions. Where did presentation skills or their ability to tell a great story show up? Most people don’t realize it, but this is – without a doubt – the one thing that each and every admired individual has in common. Yes, they each have intellect, skill, wisdom, creativity and more, but without their ability to cogently communicate it, most great things simply die on the vine. I’m often asked about my route to success. It’s an awkward thing for me to think about, because I don’t consider myself successful. I still feel like a kid who is on a path and trying to find just the right direction. That being said, I know when I found my confidence… and that came when I got comfortable presenting. I used to panic in meetings. As people would go around the table to introduce themselves, I would get sweaty palms and cotton balls in my mouth as my turn arrived. My voice would be weak and meager when I spoke. I was unsure about myself and worried what others would think of me. When I was first asked to speak in public, I choked. I made all of the classic mistakes. I put it off until the last minute, I wrote up a speech and tried to read it to the audience. It was a brutal. I wanted to die. 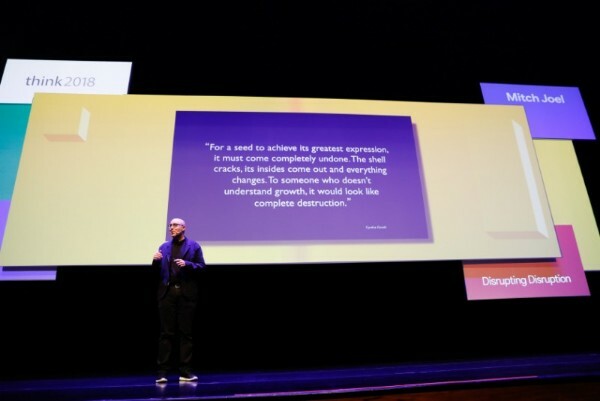 Several years later, when I got another chance to speak (this time on a much bigger platform), I took the time to get it right (you can read much more about the process right here: How To Give A Great Presentation (Seriously)). That changed everything for me. It made me a better businessperson, a better member of my community, a better friend and a better family member. When I learned how to present, it made me a better person. Period. What kind of presentation skills do you have? Seriously. It’s not about knocking it out of the park in your next sales presentation, it’s about something much deeper. For the next few weeks, start paying close attention to those that you admire and those that you aspire to be. Watch how they present. In small groups. In large groups. When they are one on one. Watch how they not only present ideas and concepts, but how they weave stories in to make a point or to be memorable. My guess is that you will have the same awakening moment as I did (nearly eight years ago). Those who can present… and present well by telling a compelling story… typically win (unless they’re using their powers to be deceitful and dishonest). What those people have is not a gift. It’s a skill set. Sure, for some it comes more naturally and some will be better at it than others, but it is still a skill. A learnable skill. Here’s my New Year’s promise to you: the better you get at presenting, the better your income will be. If you’ve been playing along, you will know that I have been blogging daily for over ten years, and I tend to not make dramatic statements like this. But, it is true. I have seen people go from non-existent skills/decent presentation skills to being really good at it, and I’ve seen their income grow exponentially along with their rate of growth in presentation skills. So, if you’re thinking of what to get for yourself during this holiday season, I’m going to recommend that you give yourself the gift of better presentations skills. If you want to get started right away, take a look at what your local Toastmasters are doing. I’d also snoop around and see if anyone in your area offers up a course on stand-up comedy. Typically, the gist of those courses get you thinking about how to build a story (in this case, a funny one) and by the end, they want you on stage trying it. You should also follow the blogging, books and courses of people like Nick Morgan, Nancy Duarte, Garr Reynolds, Peter Coughter and Jeffrey Gitomer. Head over to YouTube or iTunes and watch presentations from the people that you admire most. Watch how they build a story and follow their body language as well. It’s a gift. You deserve to give yourself something. Do this. You will enjoy the process. You will be thankful that you did. Promise. Great suggestions! I would also add singing lessons to the list of skills to explore in order to become a better speaker. Singing lessons teach you how to breathe, phrase, and speak clearly. Perhaps most importantly, singing lessons teach you how to listen. A great addition to any skill set! You don’t have to be a musician to get value from singing lessons. One of the reasons I joined Toastmasters about a year ago was because of this blog. The past year has been an excellent experience. In addition to improving my presentation and speaking skills, I have also improved my listening skills. I have also made some great connections.